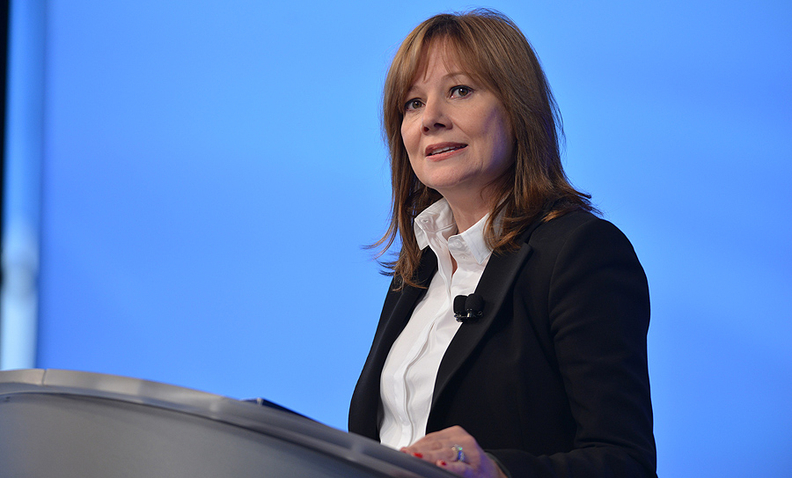 GM CEO Mary Barra: "With these moves, I feel we have addressed the personnel issues in this matter." DETROIT -- General Motors has dismissed 15 employees, including at least eight executives, after an internal investigation found "a pattern of incompetence and neglect" that led to 11 years of delays in recalling millions of cars for a fatal defect related to flawed ignition switches, CEO Mary Barra said. The investigation found that GM employees at many levels failed to recognize that cars shutting off posed a safety risk by disabling the airbags, neglected to share information about complaints and crashes, treated problems as someone else's responsibility to fix and ignored data showing evidence of a possible defect. It concludes there was no intentional cover-up and that cost was never prioritized over safety but cites numerous instances when employees -- particularly one engineer who has now been fired -- made decisions now known to have "tragic results." A 315-page report by former federal prosecutor Anton Valukas says GM categorized reports of cars stalling as a matter of customer “convenience” rather than one that could lead to crashes or deaths. It says a 2005 service bulletin sent to dealers was specifically worded to avoid attracting attention from federal safety regulators, and that GM lawyers agreed to settle a lawsuit in 2013 for $5 million, the maximum they were permitted without seeking approval from higher-ups. The report says GM lacked urgency even as recently as December, when the trio of executives who voted on whether to issue recalls was first informed of the issue but was not told it was linked to any deaths. Speaking to employees this morning, Barra promised that the company would address future safety issues far differently, warning that failing to report risks would make them “part of the problem” and even inviting them to contact her directly if they couldn’t get potential defects addressed themselves. She also confirmed plans to set up a compensation fund for people affected by crashes related to the ignition switch, though details about the plan have not been finalized yet. GM said claims would be accepted beginning around Aug. 1. Another five GM employees have been disciplined as a result of the company's handling of the recall, GM said. General Motors is not releasing the names of the 13 people killed in crashes it links to faulty ignition switches, but Automotive News has independently identified 12 of them through GM documents, public records and interviews. This list also includes 2 fatalities that were not among the 13 counted by GM: Natasha Weigel, who was a rear-seat passenger, and Brooke Melton, who died in a side-impact collision. A lawsuit connected with the Melton case led to the ignition switch recall. Except where noted, the victim was the driver. Site of accident: Visalia, Calif. Car veered off right side of road into utility pole. Car went off left side of road at slight curve and hit tree. Driver tested positive for Xanax and methamphetamine, pleaded guilty to negligent homicide and was sentenced to probation. Site of accident: Dentsville, Md. Car went through end of residential cul-de-sac and hit tree. Site of accident: St. Croix County, Wis. Car went off road, vaulted into air and hit a telephone junction box before striking two trees. Driver had only a learner's permit with no licensed driver in the car. GM does not count Weigel's death in its tally because she was sitting in the back seat, where there was no airbag. Car went off right side of road and hit signpost, garbage cans, tree and guardrail. Site of accident: Lincoln Township, Mich. Car went off left side of road on curve and hit tree. Site of accident: St. Charles County, Mo. Car veered off right side of road and hit tree. Site of accident: Clarion County, Pa. Car was struck head-on by a drunken driver who crossed center line of road. Driver of oncoming car also died. Site of accident: Rutherford County, Tenn. Car hydroplaned on wet freeway, sideswiped another car and veered off right side of pavement into tree. Site of accident: Paulding County, Ga. Car lost control on wet road and was broadsided by another vehicle. GM does not count Melton's death as linked to the ignition-switch defect because it was a side-impact crash, but the lawsuit filed by her parents led to the eventual recall. Car went off road and struck multiple trees. GM Chairman Tim Solso said in a statement Thursday that the board of directors will create a stand-alone committee to oversee “risk-management” issues. He also said the report concluded that Barra, Ammann and global product-development chief Mark Reuss did not learn of the ignition switch matter until December, shortly before the decision was made to issue a recall. “The board, like management, is committed to changing the company’s culture and processes to ensure that the problems described in the Valukas report never happen again," Solso said in the statement. Barra called Valukas' report “extremely thorough, brutally tough and deeply troubling.” She said engineers and others who learned of problems with ignition switches as early as 2003 “misdiagnosed the problem from the very beginning” and failed to treat it with the appropriate level of urgency. Barra did not identify the employees who were fired or resigned. Two engineers who had been suspended with pay since April 10 -- Ray DeGiorgio, who designed the ignition switch, and Gary Altman, the program engineering manager for the Chevrolet Cobalt -- are among them, two persons familiar with the matter said. Neither DeGiorgio nor Altman have commented publicly on their situations. GM also ousted Bill Kemp, a senior lawyer who was responsible for safety issues within its legal department, as the automaker reforms the operations that failed to address defective parts linked to 13 deaths, two persons familiar with the matter said. Two former directors of product investigations, Carmen Benavides and Gay Kent, also are out, two people familiar with the matter said. The Valukas report notes that interviews with Benavides and Kent revealed that there was concern while writing a 2005 service bulletin to dealers that using the word “stall” might spur regulators to investigate whether a safety issue was involved. Lawrence Buonomo, a senior GM lawyer who oversaw product-liability cases, has also left the company as a result of the report's findings, a source familiar with the matter said. Buonomo chaired committees beginning in March 2012 that decided how GM would settle lawsuits filed by accident victims, The Wall Street Journal reported. The Journal first disclosed Buonomo's departure late Thursday. According to his Linkedin profile, Buonomo had been with GM since August 1994 and focused on complex commercial and class action litigation, as well as supplier insolvency and restructuring issues. He had also served as the administrative head of GM's in-house litigation team. One of the committees chaired by Buonomo, the Roundtable, existed to evaluate legal claims, but a number of lawyers said it also served to spot safety problems, The Journal reported, citing the Valukas report. The report signaled Buonomo out as a lawyer who didn’t share that view of the Roundtable committee's primary role. “Buonomo, for example, said that it was not the Roundtable’s function to spot trends and that if a lawyer had to flag a trend, then the system had already failed,” the report states. Barra said most or all of the dismissed employees worked in the engineering, legal, public policy and quality departments and that more than half were senior-level executives. Five additional employees have been disciplined, she said. GM executives said the eligibility rules for the compensation fund would be set by attorney Ken Feinberg, meaning he could decide to count deaths that are not among the 13 that GM has tallied. That means GM could assert in court that it is not liable for pre-bankruptcy crashes. Ten of the 12 deaths identified by Automotive News and many of the non-fatal crashes occurred before GM’s bankruptcy. GM in May admitted breaking federal law and agreed to pay a $35 million fine levied by NHTSA. It also has to meet with NHTSA officials monthly to discuss potential safety issues and implementation of the changes recommended by Valukas’ report. Dan Ammann, Mary Barra and Mark Reuss at today's press conference. Bob Lutz, the former GM vice chairman who headed product development, said last night during a dinner event at Eastern Michigan University that it was his belief that high turnover and lack of communication in the company caused the faulty ignition switches to go unnoticed. Lutz said each department in the company likely knew small aspects of the problem, but employees never came together to look at the big picture. The Department of Transportation's inspector general is also investigating NHTSA for its handling of the recall and why the agency failed to detect it sooner. GM also faces another round of hearings in Congress and additional investigations by the Justice Department and the Securities and Exchange Commission. Valukas wrote: “Those outside GM, including, in 2007, a trooper from the Wisconsin Safety Patrol and a research team from Indiana University, figured out the connection between the switch and the airbag non-deployment. Yet, GM personnel did not." Gabe Nelson, Nora Naughton and Bloomberg contributed to this report.